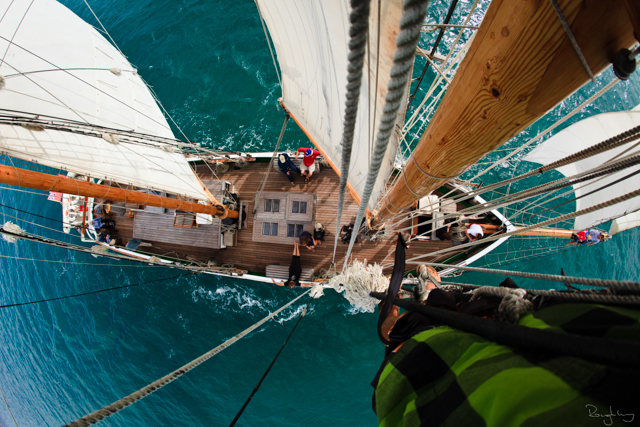 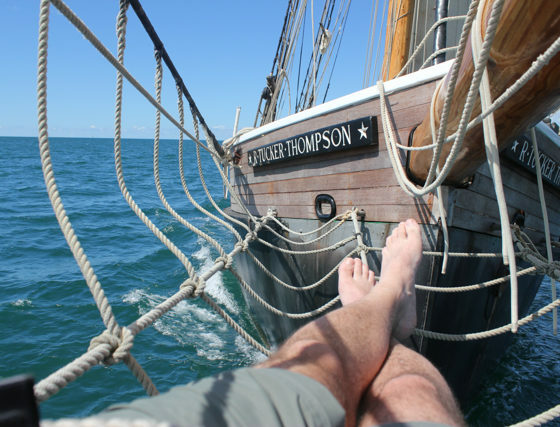 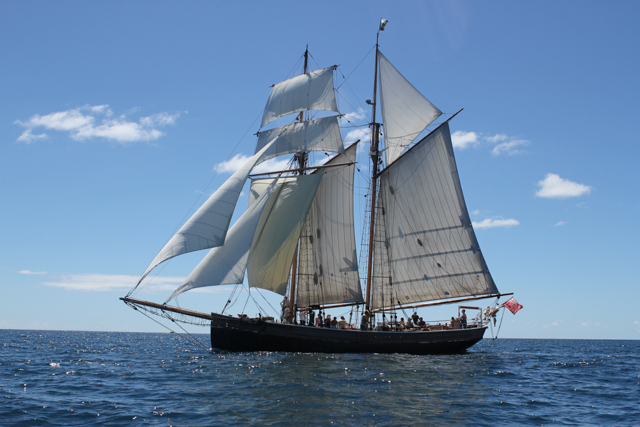 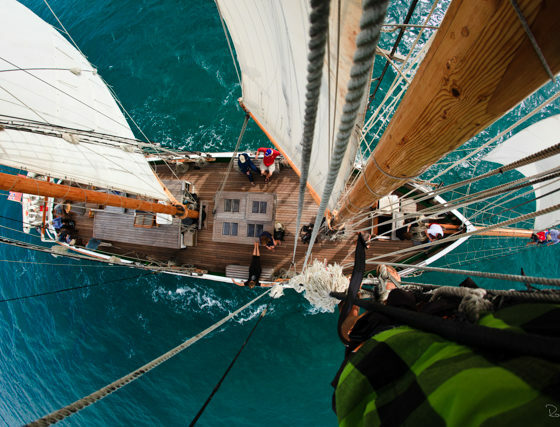 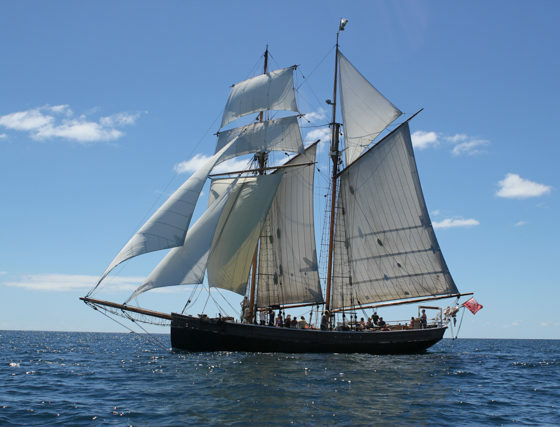 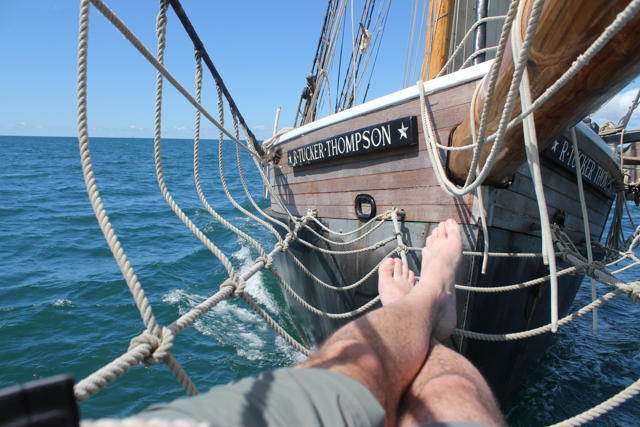 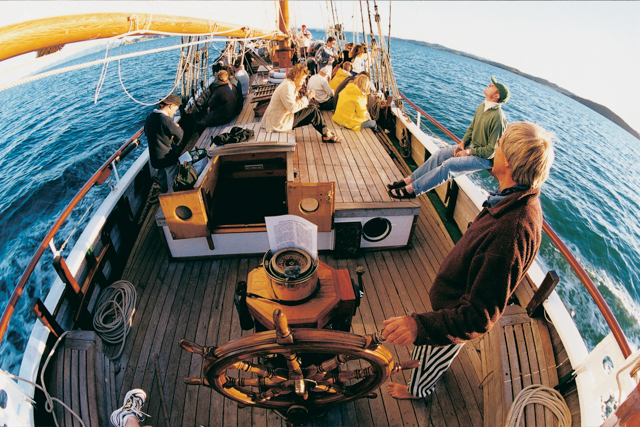 From November until Easter experience sailing on a tall ship on the ‘R.Tucker Thompson’ through the spectacularly beautiful Bay of Islands. 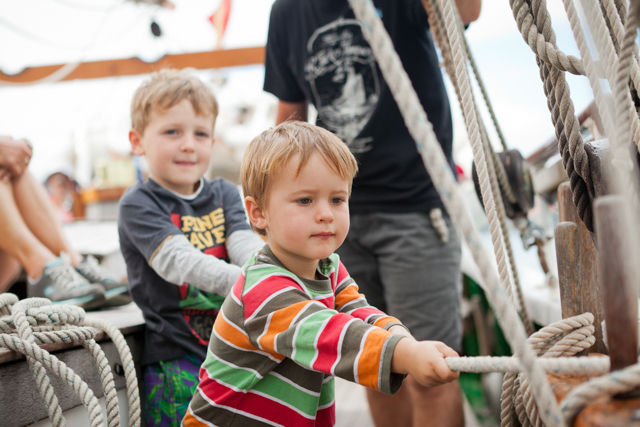 Many visitors have said that it has been the highlight of their holiday…and not without good reason. 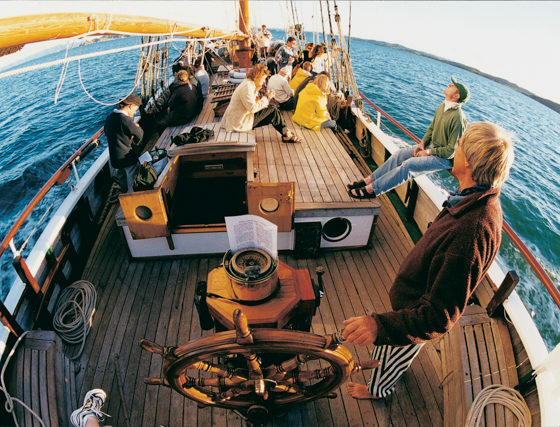 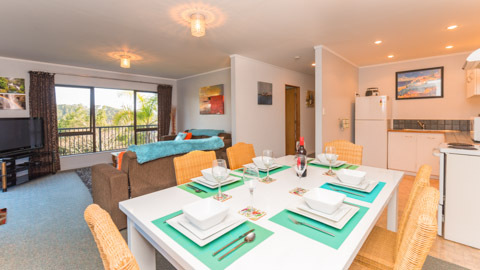 Choose from either a full day sailing or for those with not so much time to spare enjoy a relaxing late afternoon sail through the inner bay around the area of Paihia and Waitangi. 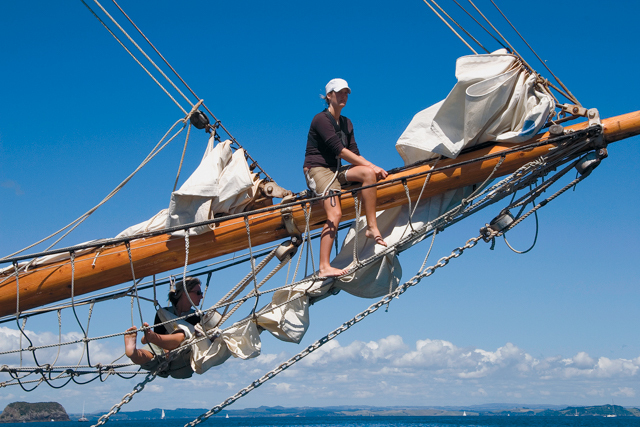 Our Day Sails depart from Russell and the price of the ferry which runs approximately every 20 minutes between Paihia and Russell is included in your ticket. 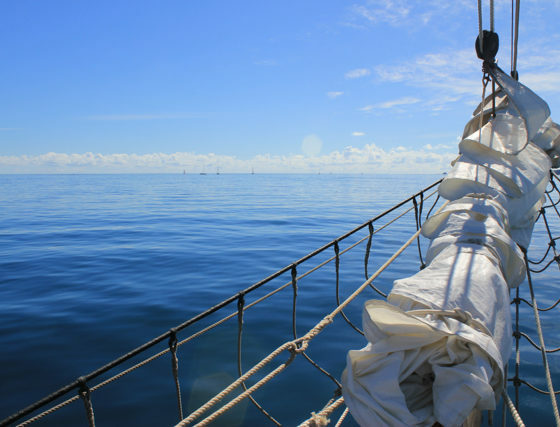 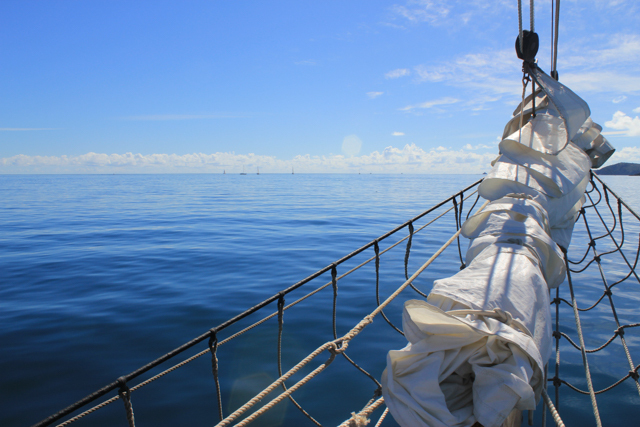 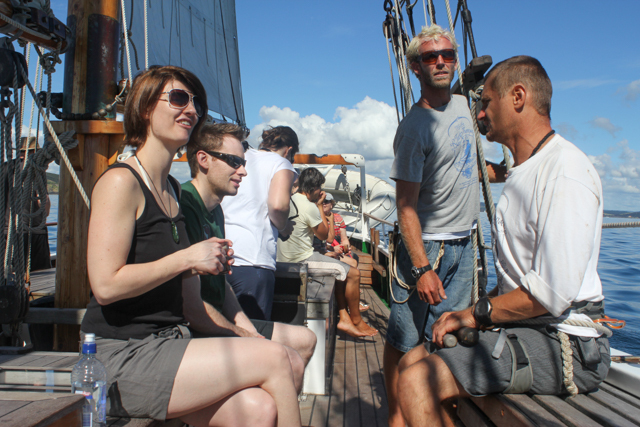 So for an excellent sailing trip join us on this uplifting journey, take the helm, hoist the sails or climb the rigging, enjoy freshly baked scones from the galley whilst relaxing on our spacious deck and enjoy a lunchtime swim in one of many sheltered bays. 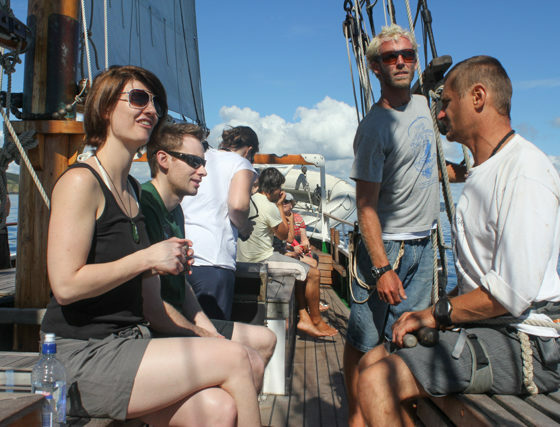 Our friendly and knowledgeable crew will share stories of this stunning region and you will be served a delicious barbecue lunch on board. 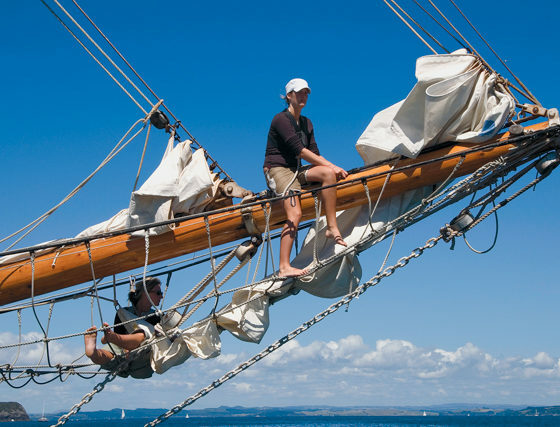 Prices:-Adult: NZ$ 145, Child NZ$ 72.50, includes morning tea, lunch and ferry transfer; infants under 5 go free (no meals included) and with profits made from tourism going to support youth development, your day out is going to a good cause. 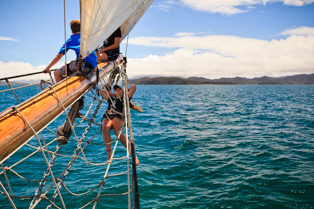 For a perfect way to end the day join our 4pm Afternoon Sailing trip enabling you to experience this unique tall ship adventure through the inner Bay of Islands. 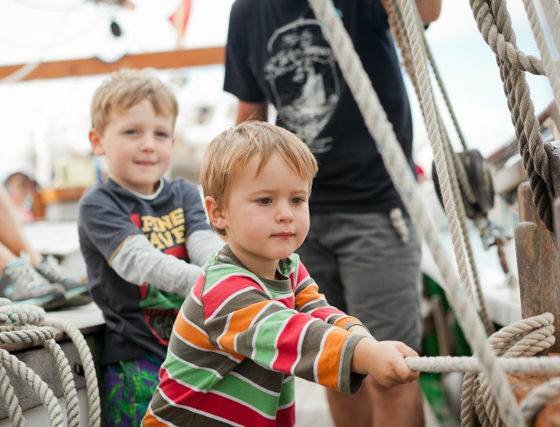 We run scheduled trips on Fridays, Sundays and Wednesdays and will offer them on other days for groups of 25 or more. 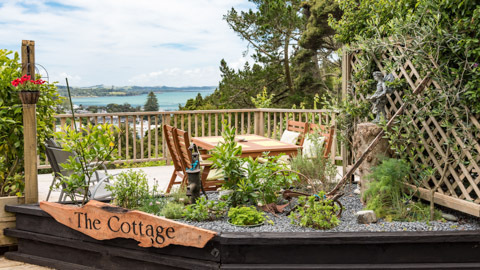 Tickets cost NZ$65 for an adult, NZ$32.50 for a child, which includes your return ferry transfer from Paihia if required and shared antipasto platter. 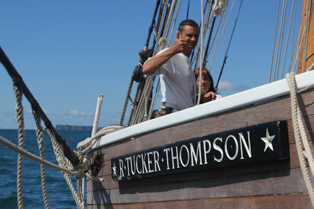 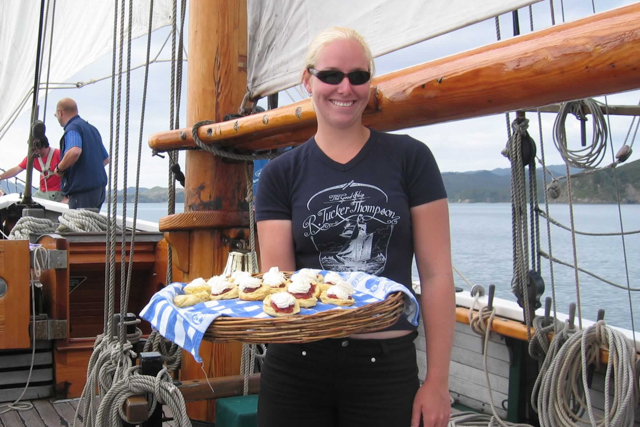 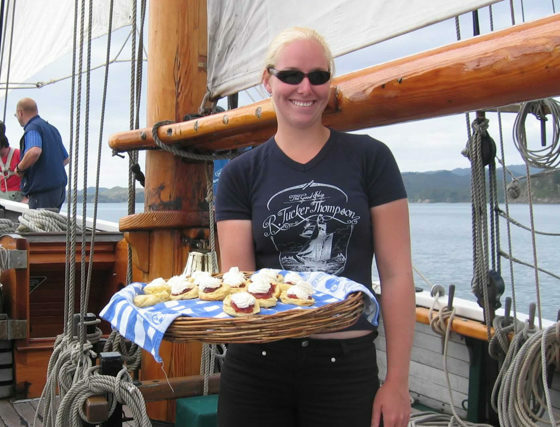 The R.Tucker Thompson also caters for up to 47 for private functions and wedding guests, so for a wedding you will never forget cruising the beautiful Bay of Islands, let our friendly crew take care of all of your needs for your special day.